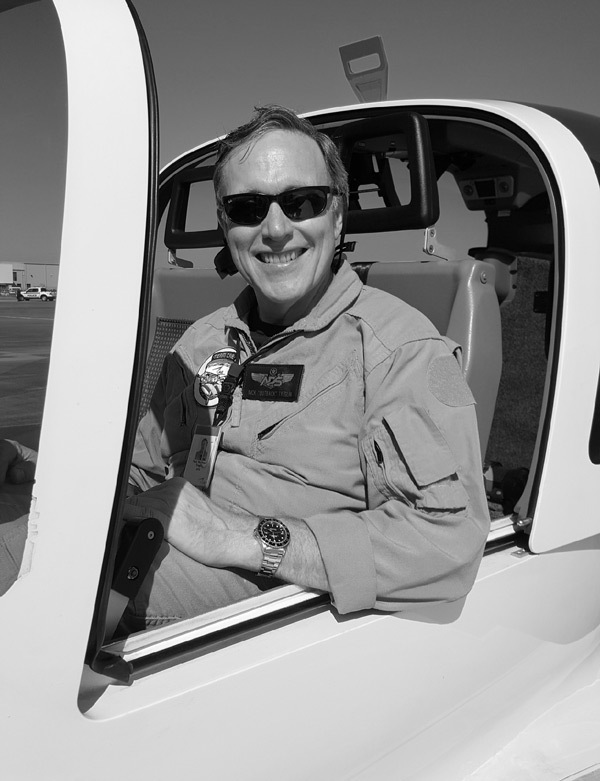 Nick ‘Outback’ Treglia is a retired Naval Aviator with over 9,000 flight hours, and thirty years professional aviation experience. He earned his Bachelor of Technology in Industrial Engineering from the State University of New York Polytechnic Institute. Upon graduation, he worked as an engineer for Carrier Corporation and Martin Marietta Orlando Aerospace prior to being accepted into Aviation Officer Candidates School and Navy flight training. On his first sea tour Nick flew the H-46 Sea Knight. His deployments include the North Atlantic, Mediterranean, and deployment in support of the USS America battle group in the Gulf War. Additionally, he provided humanitarian support and relief operations following hurricane Hugo in the Caribbean. He later served as a U.S. Navy Primary and Intermediate Flight instructor flying the T—34C. He qualified as a NATOPS and Standardization instructor, as well as Out of Control Flight Instructor (OCF). After a two-year staff assignment, he went on to fly the C-12 and then the C-130 where he provided worldwide logistics support. Prior to retirement, he attended the US Navy Post Graduate School, School of Aviation Safety. After retirement, Nick taught the U.S. Army Fixed Wing Multi-Engine Qualification Course and Fixed Wing Multi-Engine Instructor Pilot Course. He provided flight instruction in the Cessna 182, Zlin-242, Beechcraft Baron, and C-12. He additionally served as an Academic, and Simulator Instructor, and Director of Safety. Nick “Outback “Treglia joined Aviation Performance Solutions in April 2017 as an Advanced Instructor Pilot and is currently stationed at APS’ military location in Dothan, Alabama. His primary duties at APS include providing flight instruction and academic briefings for the Upset Prevention and Recovery Training courses. CFIME, CFI, CFII; Airline Transport Pilot, Multi Engine Land, Commercial Pilot Single Engine Land & Rotorcraft Helicopter; Instrument Airplane and Helicopter.